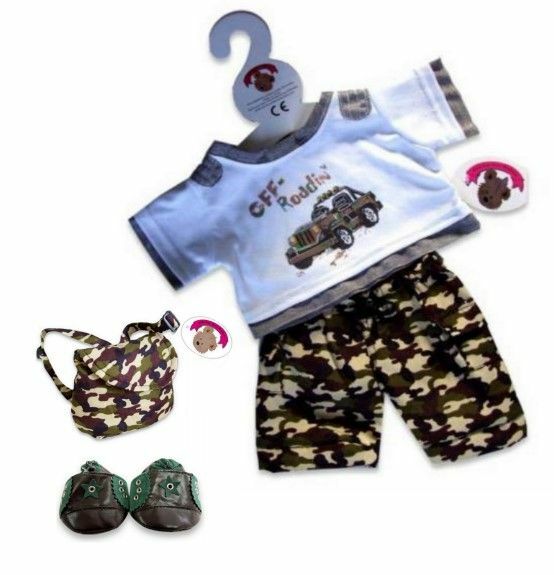 Off road detailed top with army trousers, bag and shoes. Teddy bear clothes a compatible fit for Build a Bear, Argos Design a Bear and many more teddies of a similar shape and size. Outfit is a compatible fit for build a bear 14-16" bears and animals .